My mother recently bought an iPhone and posted this picture of me and my cousins from 1984. 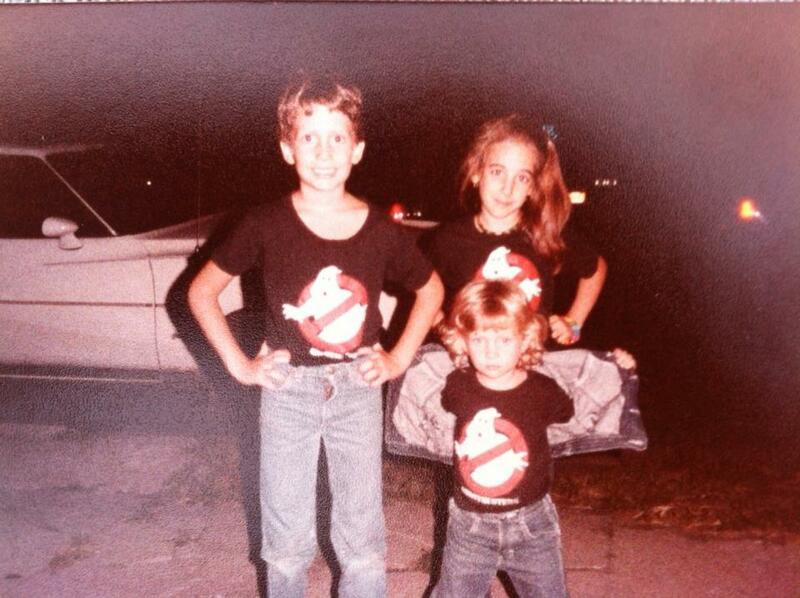 I love that we were all rocking Ghostbuster t-shirts. LOL! Oddly enough, I vividly remember this day. I thought we were SO COOOOOOOOOOOOLLLLLLLLLLLLLLLL in those shirts Out of control. I almost want to find them for my kids and replicate this shot. Denim jackets and all. SHE THOUGHT IT WAS HER! LOL So funny. This does look like Natalie, but LIAM is your TWIN!!! If your hair was shorter in this picture you almost can’t tell the difference, wow.